From fries and delicate fish fillets to hearty chicken wings and Oreos, fried food is a quick and easy sell! With the convenience of Backyard Pro, providing a menu of fried delicacies is easy, safe, and convenient for any business! Built for the great outdoors, the Backyard Pro fish fryer is right at home at sporting events, county fairs, and barbecues. It’s also well-suited for cooking on the patio just outside a business. This fryer is equipped with a robust 55,000 BTU cast iron burner to ensure ample power and cooking versatility. Plus, to protect the fryer from the inevitable breeze or gust of wind, a 360 degree windscreen ensures that the flame remains strong and steady. This fryer features a large, 13” cooking surface, which accommodates the included 10 qt. aluminum pot. Also included with the unit is a perforated basket, which is what holds the product in the pot of oil, and then allows the oil to drain from the product after frying. A 5 PSI adjustable regulator and rubber hose connect an existing liquid propane tank to the unit’s burner. As the oil or water heats up, you can easily monitor the temperature with the included 5” deep fry thermometer. Measuring from 100 to 750 degrees Fahrenheit, this thermometer easily clips to the side of the oil pot for your convenience. The fryer features a sturdy tripod base. And because no one wants to spill hot oil, the base is reinforced with a ring along the bottom for extra stability. The unit’s top is also built with a recessed ring and side pot holders to help keep the oil pot in place. Sturdy, steady, and designed for outdoor use, the Backyard Pro fish fryer is a versatile addition to your cooking equipment line-up. This year, be ready to join your customers outside, and start offering freshly-fried favorites wherever you are! Specially designed for outdoor cooking, this Backyard Pro fish fryer is safe, easy, and convenient to operate, while coming at an amazing value! 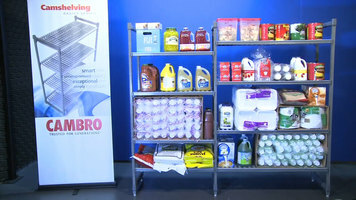 Watch this video to learn more about this Backyard Pro fryer's key features. 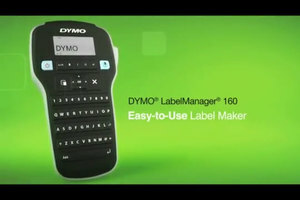 Check out the video for information on the DYMO LabelManager 160: the Easy-to-Use Label Maker. 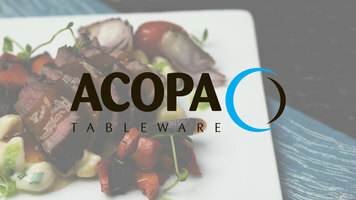 Use these Acopa Dinnerware flat plates in any dining room, from casual to sophisticated, to bring a dynamic look to your food presentation. Available in either black or white, these plates are sure to draw your guests' attention to your perfectly plated entrees, sides, and desserts. Made with a special composite material, Cambro Camshelving® Basics series is an ultra-durable storage solution engineered to accommodate the demands of busy food service operations. Watch this video to find out more.